Fabric light boxes are illuminated frames with fabric prints. The illumination of the fabric prints from within the box creates a dramatic, eye catching branded product. TST offers fabric light boxes that be custom sized. 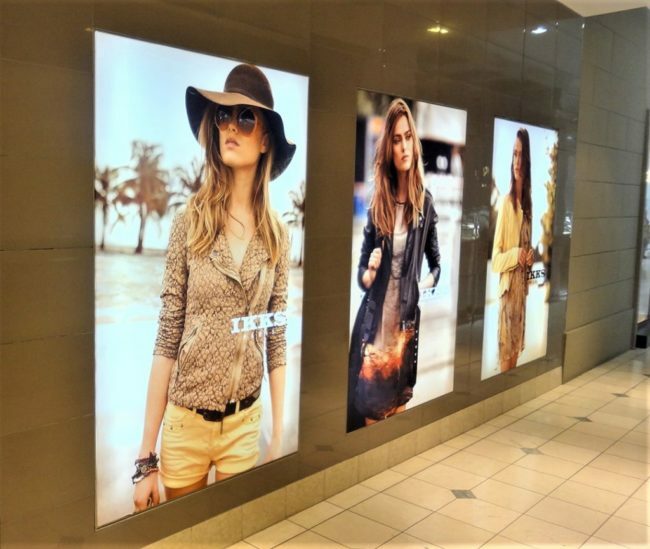 Parking lots, shopping centres and corporate internal signs are all great spaces to use the fabric light box.